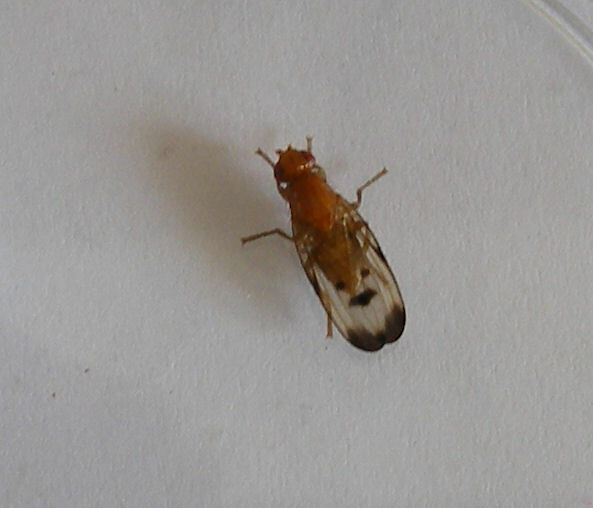 This is a shining orange fly with a spinose costa. It is about 9 mm long. The wings are marked with dark 'shades' particularly at the wing tip. Various habitats in search of suitable birds' nests for their larva. This distinctive fly is sometimes called the Nest Skipper Fly. The larvae are parasites of birds, sucking the blood of nestlings. It has been found in nests of House Sparrows (Passer domesticus) as well as other species including various finches. Very few British records have been entered, mostly from southern England.